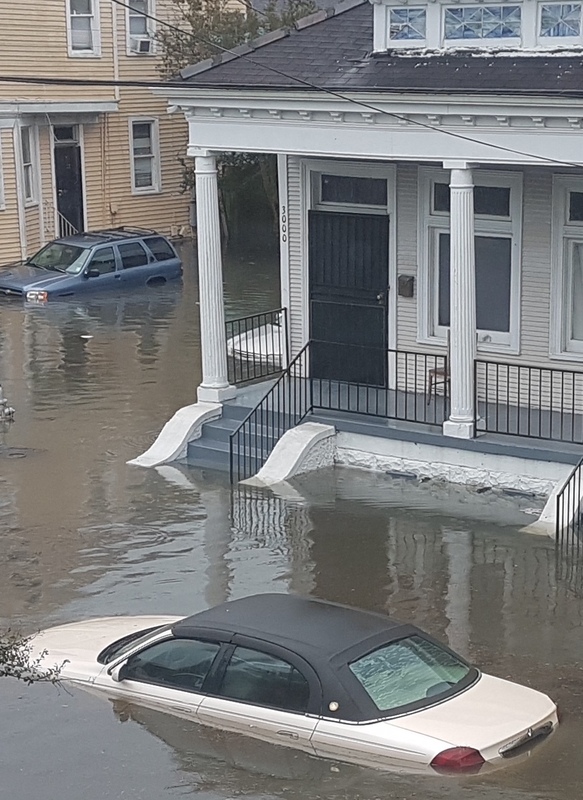 The August 5 flood served as a sharp reminder of how utterly dependent New Orleans is on efficient management of its drainage system. Anyone seeking to understand the fiasco that befell New Orleans with the flooding on August 5 and the subsequent power station fire would do well to ponder a legislative maneuver dating back to 2013. Senate Bill 47 came dressed in rhetorical trappings all too familiar in post-Katrina New Orleans. It was offered in the name of “good government” and of “taking the politics out” of city administration. In fact, it was a big step away from democracy, an erosion of the right and responsibility of elected officials and the voting public to supervise a municipal agency, the Sewerage & Water Board, and hold it accountable. 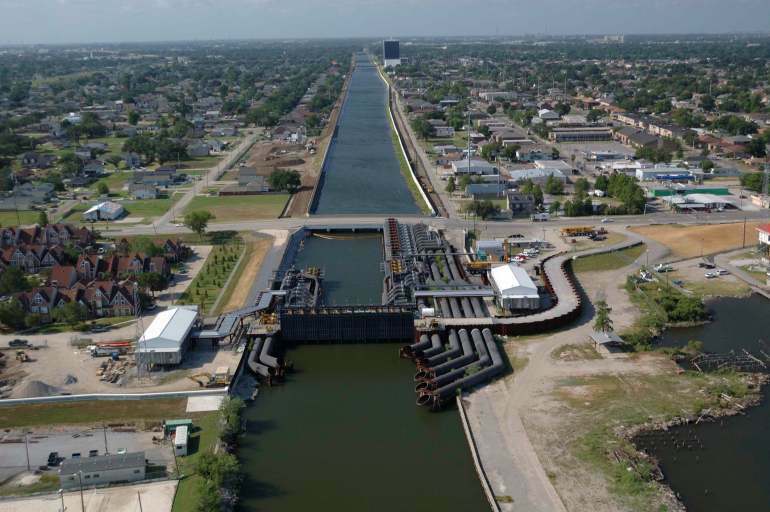 SB 47 demands close attention, especially as Mayor Mitch Landrieu now threatens to privatize management of the city water works and drainage infrastructure. The gist of SB 47 was to expel the City Council from the S&WB’s board of directors. For years, three members of the Council had been seated on that board. In their place, the bill established a system whereby directors would be appointed by the mayor from a list of nominees put forward by the presidents of local universities. While all the men and women who have served in recent years as presidents of local universities are honorable, civic-minded leaders, their responsibility is to their institutions and their boards of trustees. These academic leaders are not accountable to the voters in any way, notwithstanding their noble service to the community and the vital role their institutions play in our city. Leading the charge to purge the S&WB’s accountability to the voters was the august Bureau of Governmental Research, founded by social elites in 1930 as an anti-populist organization with a secret membership roster, not unlike the exclusive carnival krewes whose members comprised the group. But the BGR is neither representative, nor credible. Many of its board members do not live in New Orleans. Not a single African American serves on the BGR’s staff. Its board members have been awarded no-bid contracts with city agencies, and have been appointed by Landrieu to city boards or commissions. At least one of its officers has been embroiled in his own ugly conflict-of-interest scandal. Sponsored by state Sen. J.P Morrell and state Rep. Walt Leger, SB 47 needs to be understood as what it was: a vote of no confidence in democracy. * Apparently, Morrell and Leger don’t trust the very voters who elected them to office and who also elected the City Council members the bill stripped of their watchdog role. The assault on democracy almost got worse: Lobbyists for special interests tried to coax pliable legislators to fight an amendment to SB 47 that requires detailed quarterly reports from the S&WB to the City Council. Fortunately, the lobbyists were defeated and the amendment passed. Now, as epic pump and generator failures and serial breaches of trust by the S&WB are revealed, some of these same legislators are engaging in cynical revisionism. It’s a bid to evade their responsibility for weakening voter control of the now obviously dysfunctional board. The cry to “remove politics” from city governance was — like the push for “privatization” (or its watered-down version: “public/private partnerships”) — a misguided response to the ineptitude and outright corruption exposed by Hurricane Katrina. What really was going on was an assault on the right — indeed, the responsibility — of voters to hold their government accountable. Politics is how citizens participate on an equitable basis in the great American experiment called democracy. We vote for and against candidates, then support or oppose elected officials in a variety of ways, ranging from bumper stickers to campaign donations. We engage in public discourse with our family, friends, neighbors, co-workers and fellow citizens; and we attend public meetings, like last Tuesday’s emergency City Council session, a stormy one in which S&WB lies and associated failings were laid bare. “Removing politics” should be identified and denounced as a revival of a neo-Confederate, post-Reconstruction, Jim Crow value: that only the landed elites – white men who own property — are qualified to have a say in government. In fact, many of the boards and commissions detached from elective oversight were established during the Jim Crow era specifically to minimize democratic participation by blacks and poor whites. That certainly includes the Sewerage & Water Board, founded in 1898, two years after the U.S. Supreme Court’s notorious Plessy v. Ferguson decision legalizing segregation, and the same year Louisiana enacted the heinous Suffrage Amendment and “grandfather clause” that disenfranchised more than 100,000 African-American voters. With SB 47, elite special interests masquerading as good-government advocates left the mayor as statutory president of the Sewerage & Water Board’s board of directors and the only member directly accountable to the public. The current board of “experts” apparently didn’t read the monthly reports noting that the pumps, turbines and other essential elements of drainage infrastructure were not all in working order. At a March 13 meeting of the water board, Deputy Mayor Cedric Grant, the agency’s director, informed the board’s finance committee that four turbines for powering drainage pumps were out of service and asked for a declaration of emergency. The mayor did not attend the meeting and, according to Landrieu, no one on the board or staff, including his deputy mayor, told him about the failed turbines or the emergency declaration. I’ll bet you that if the late Councilmember-at-large Dorothy Mae Taylor were serving on today’s water board, she would have asked the tough questions, demanded honest answers and held the agency to account. And she certainly would have alerted the mayor to the emergency declaration. The special interests’ assault on the values of democracy and contemporary norms of government didn’t end with the power grab that removed elected officials from the S&WB’s board of directors. Earlier this year, the unaccountable board and the same special interests got Morrell, their most malleable marionette, to author a bill (SB 247) to phase out civil service rules at the S&WB, a maneuver that would strip workers of their protection from political coercion and capricious discipline or dismissal. Fortunately, the Senate Committee on Local and Municipal Affairs declined to entertain this retrograde legislation, a bill that was arguably unconstitutional as well. The legislation died. Having failed to end civil service protections at the S&WB, the mayor is now considering privatization of the board’s management, making the agency even less accountable than it was on Aug. 5 when the failures of leadership led to flooding, property damage and a monumental breach of trust. If voters couldn’t hold the board of mayoral appointees accountable, imagine the herculean challenge in trying to hold a private, for-profit enterprise accountable. The solution to these cynical machinations and evasions is obvious: Abolish the S&WB, and fold its operations into city government under the authority of the elected City Council. That would make the lines of accountability clear and direct. The board would answer to the City Council, which answers to voters. Voters should demand that candidates for mayor and City Council in this fall’s election pledge to end the ruinous reign of special interests at the S&WB, and commit to real reform in the interests of accountability and transparency. We need to make sewer, water and drainage operations a direct function of city government. An arm’s-length arrangement that shields them from scrutiny by the public and elected officials disrespects the rights of voters, taxpayers and loyal civil service employees. *An early version of this column made reference to state Rep. Helena Moreno’s support for the bill. She fought for its passage but not in an official capacity.